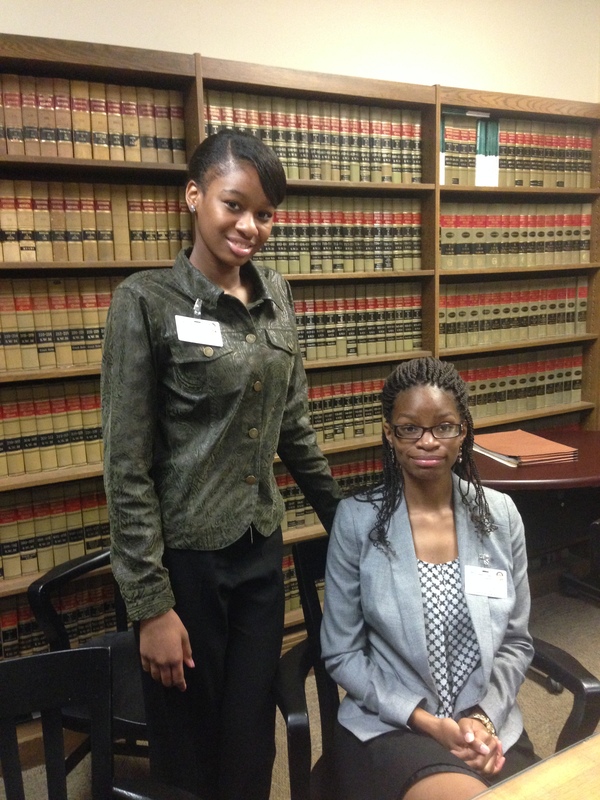 Less than a week after the recent unrest began in Ferguson, Missouri, a determined group of young public defenders released a scathing white paper that exposed the widespread unfairness and oppressive nature of the municipal courts in St. Louis County. In the days since, much has been made of a system that disproportionately burdens poor people of color with fines, costs and fees and has likely contributed to continuing protests in the St. Louis area. Join us after work in Memphis’ first maker space at Forge Memphis as we interview Thomas Harvey about his work on this issue and some of the reforms that are underway. We only have 50 seats available — so RSVP with this Eventbrite! The Arch City Defenders opened for business five years ago when each of its three founding attorneys still had day jobs. Their mission was to serve the homeless community in St. Louis, many of whom were struggling under unrealistic financial burdens imposed by the now-infamous municipal court systems of St. Louis County. 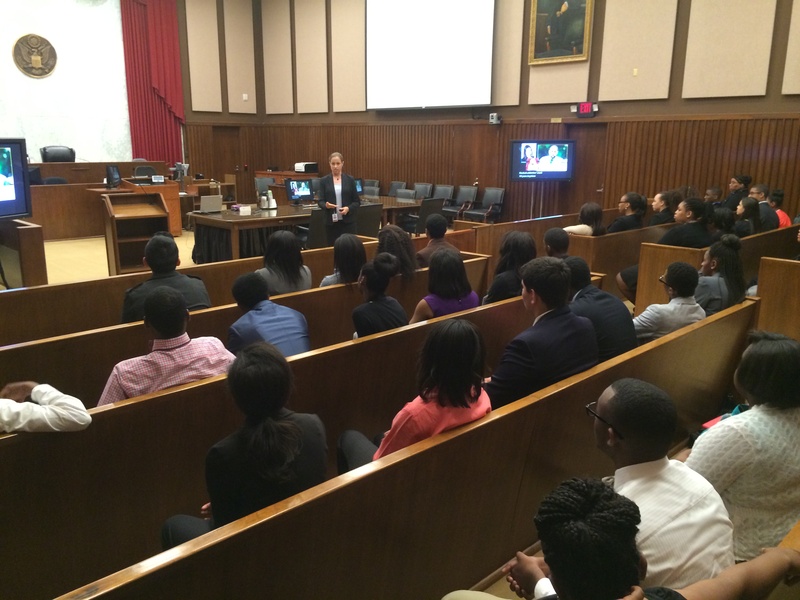 This unique, non-profit law firm has grown into several employees and now occupies its founders full-time in a client-centered practice funded by contracts with local governments, grants and donations. They are a 501(c)(3) organization. When ACD released the white paper in August, they found themselves in the national spotlight. The paper details the gross inequities of the more than 80 municipal court systems in St. Louis County that collect fines and fees from the area’s poorest residents. Some of these municipalities depend on this revenue to fund as much as half of their operations including police departments. 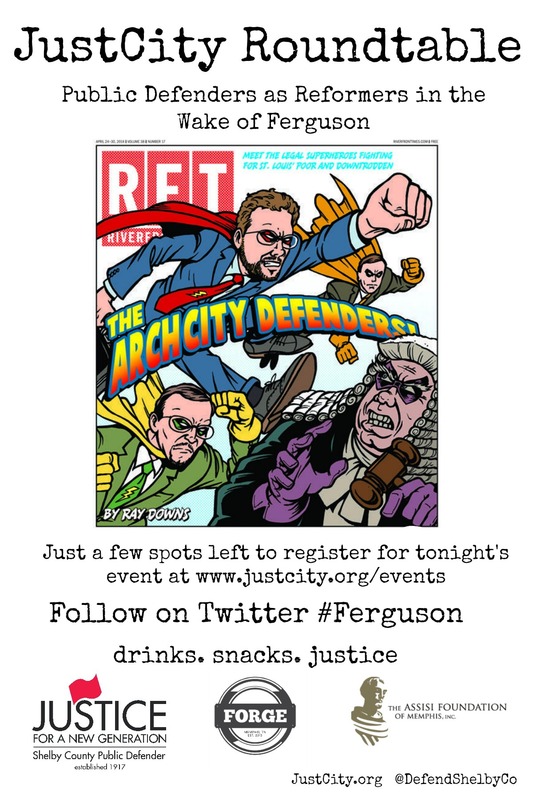 As a result of this eye-opening research and years of work in these courts, the attorneys of the Arch City Defenders have been featured by Newsweek, NBC, NPR, MSNBC, Huffington Post and the paper has led to reforms within some of the municipal governments, including Ferguson. This JustCity Roundtable is hosted by the Shelby County Public Defender’s Office with generous support from Forge Memphis and the Assisi Foundation. The Roundtable is an occasional gathering of community leaders interested in leveraging the best ideas in criminal justice to improve our city. To learn more about the Arch City Defenders, click this link. To read the white paper, click here. To find out how the Shelby County Public Defender’s Office has worked to combat similar issues in Memphis, read this JustCity.org blog post about the innovative Street Court program. When juveniles are involved in violent acts — our tendency is to react in fear — and call for swift, harsh punishment. 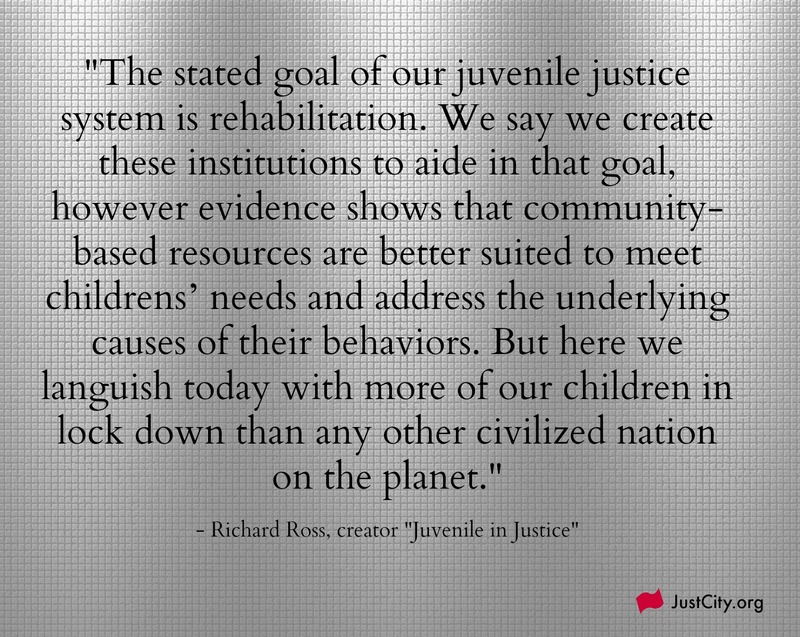 But according to our juvenile justice laws, we are charged with working to rehabilitate youth. Developments in brain science in the last 30 years reinforce the mission of rehabilitation — that the minds of young people are malleable and primed for continued development and change. Yet, with this mission and what we know, the U.S. still leads the world in incarcerating children. 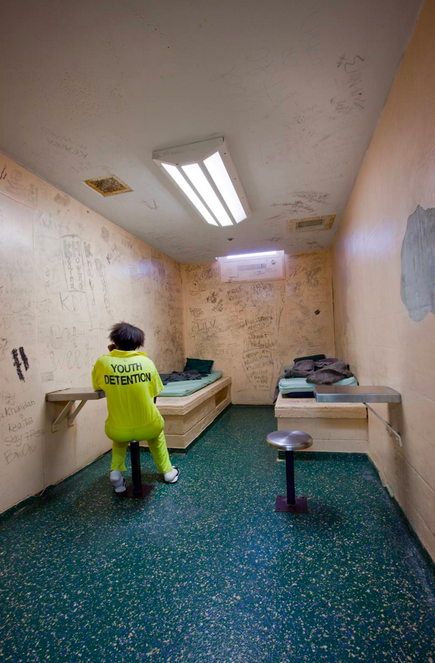 This weekend, artist Richard Ross brings his photography to Memphis to show what juvenile justice looks like in this country — and his message is stark and unblinking. Some may be less inclined to worry about inhumane detention conditions when young people are accused of unthinkable acts of violence, but a recent study found that 75% of young people held in detention in the U.S. are kept in these often poor and sometimes abusive conditions … for non-violent offenses. This Friday, September 19th, Richard Ross will give a lecture about his work at the Art Museum of the University of Memphis. His work will be displayed in Memphis through November. Also on exhibit will be the work of local artist, Penny Dodd, who has interviewed more than 800 Memphis teens — as they give us insight into their young, complicated lives. Exhibit will remain open until November 26th, 2014. Read this article by Richard Ross on the popular political website, The Hill.